Until now this ancient technique, 'Dabu' from Rajasthan, involved a laborious kneading of wet clay with various stages of soaking and adding ingredients. We have now simplified this into a mixture of the essential ingredients in the right proportions of dry powder that you just need to add cold water to. This is a fun, safe and easy way to try resist printing yourself or with children. 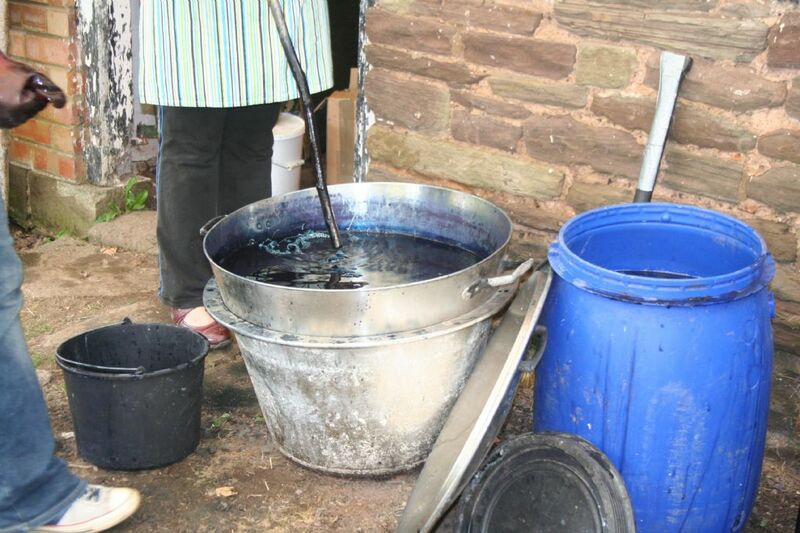 We offer the mix in two quantities - 750g - enough to print approximately 8 metres of cloth, and 350g - enough to print approximately 4 metres of cloth, both these amounts of fabric depend on the density of your pattern and how many layers of printing you do. Containing 250g clay,250g.lime,150g. flour and 50g. gum Arabic. 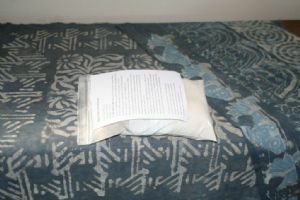 Mix the whole sachet (because some separation of the different ingredients may have occurred in transit) with cold water, a little at a time, to the consistency of pancake batter, and then pass through a coarse sieve if very lumpy, before use with printing blocks dipped onto the surface of the mixture and gently placed onto scoured calico or cotton. 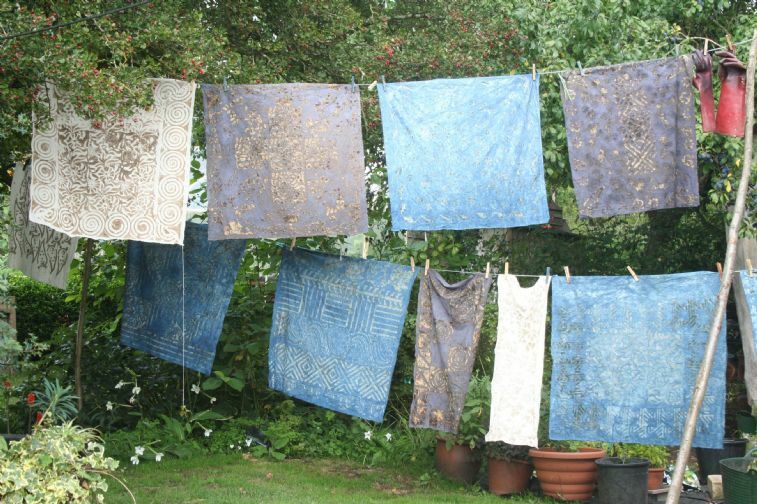 Then hang up the piece of cloth to dry.When the mud is dry, immerse the whole piece of fabric in a dye solution, gently stir around for a few minutes and hang the cloth up to dry again. 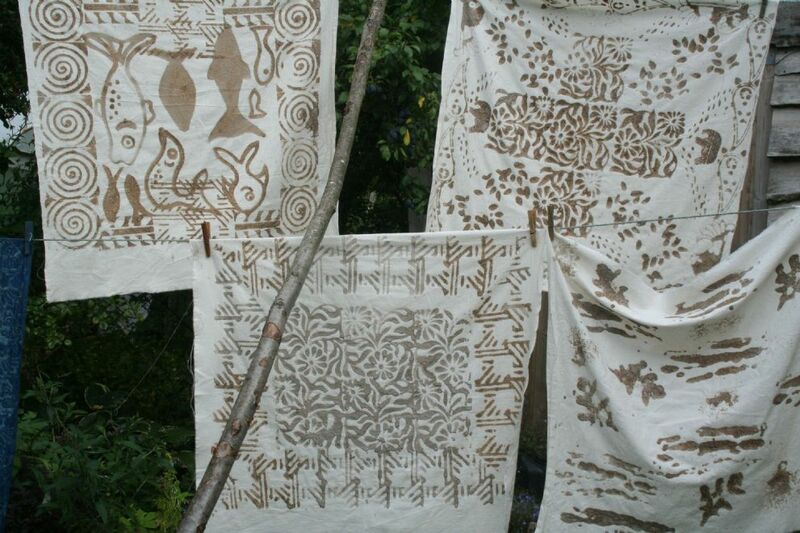 Multiple layers of mud resist prints and several episodes of dyeing can be done on the same piece, as long as it is dried between each application of mud and between each dye-dip. When your final stage is dry then gently rub off the mud with your hands in warm water and dry. shells and so on – let your own, or your pupils’ imagination play! 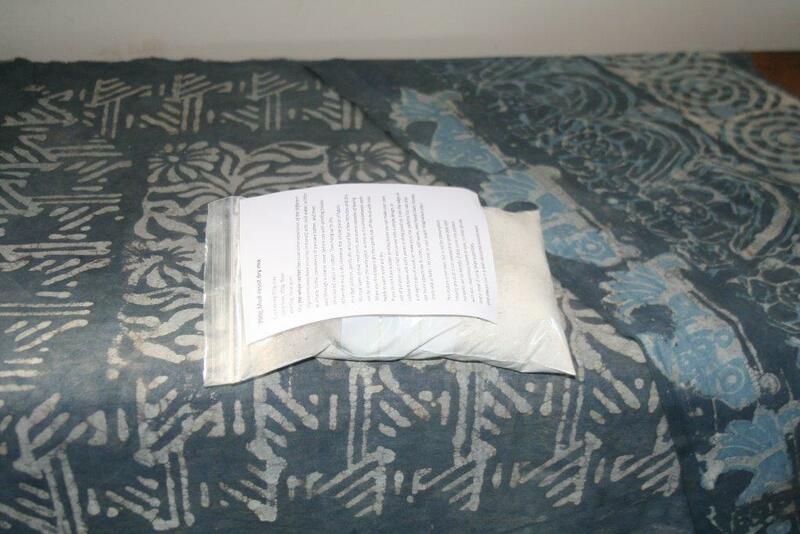 This mixture is not toxic, but is not for consumption.Inhaling any dust is not advisable, and some dyes and mordants can be harmful if they come into contact with skin, respiratory system or eyes; so wear gloves and a mask if using large quantities, and always use in a well ventilated environment.